Our Tenant Representation services include strategic planning, research services and lease auditing, as well as support from our property management and construction specialists. Offering a full range of real estate services. Development of a comprehensive marketing plan, including identification of logical and outlier prospects, is key to a successful leasing or property sale effort. Assisting clients with the development of strategies that result in high occupancy rates, enhanced revenues and cost containment. Fidelity Commercial specializes in the representation of tenants and owners of commercial real estate including office, industrial, retail and investment properties. Founded in 1994, Fidelity Commercial is one of the Philadelphia region's leading multi-service commercial real estate firms. We represent a wide range of local, national and international clients in the areas of Tenant Representation, Commercial Property Leasing and Sales, Property Management, and Retail Advisory Services. Fidelity Commercial represented the seller and the buyer of this 15,000 square foot retail property in Thorndale for $1,255,000. 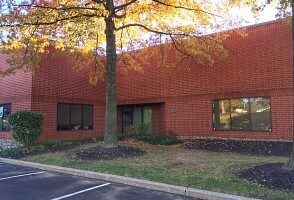 Fidelity Commercial represented the seller and the buyer in the sale of a 10,000 square foot retail/flex building located at 206 E. Lancaster Avenue, Downingtown, PA. The building had been occupied for over 27 years by Colonial Electric.